After a few years of being an avid blog reader, I decided to start my own. Because I was big fan of personal finance blogs and law school blogs, I thought I would marry the two and create a blog dedicated to helping law students mitigate their crippling law school debt. I figured it would be a good way to keep track and hold me accountable for how I managed my finances in during law school. My blog has evolved quickly over the seven months I’ve been writing. The Frugal Law Student started out as an anonymous blog in which I shared what I spent each day with anybody else who cared to read. Occasionally, I’d give a tip. I finally realized that my spending habits weren’t that exciting, so I started writing more tips on how to save money and less on what I spent on a particular day. While my blog is geared towards law students, I’ve found that many of my readers are non-law students. It’s nice to have such a broad audience to write for. I hope that my posts have been able to help other law students who also have the same goal to keep their student debt in check. Writing The Frugal Law Student has really helped me and my wife stay in control of our finances. Our goal is for me to finish law school with the least amount of debt as possible. Writing everyday on how to save money really keeps me focused on that goal. I’ve also made new friends and connections through blogging. For example, Andrew Flusche of Legal Andrew fame has become one of my good friends in the blogsphere. He’s helped me out a lot with the development of my blog. I don’t think I would be where I am today with The Frugal Law Student without his help. Perhaps the connections I’ve made while blogging will result in a new job or some other opportunity. I also think writing The Frugal Law Student has helped my writing skills. If you ask my wife, she’ll tell you that two years ago my writing was horrible. However, with the help of my legal writing class and The Frugal Law Student, I feel I’ve become a decent writer. I know I can still improve, though. 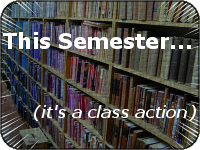 This post is part of Top Law Student’s group writing project on why law students have blogs. Lately, I’ve been trying to improve my blog traffic and increase the number of subscribers to my RSS feed. I’ve done all sorts of things like networking over MyBlogLog, digging my own posts, and writing catchy headlines. Nothing seemed to work. However, I finally found 225 reasons why my blog traffic and RSS subscription have stagnated. Are you ready for them? These past two days I went through every single post I have ever written since I started blogging in October 2006. That’s over 300 posts. In the 300 posts that I have written, I found 225 typos. 225. That’s almost one typo per post. It finally dawned on me that the reason more people weren’t coming back to my blog was because I lost credibility every time I made simple typos. It doesn’t matter how awesome my post idea is, small typos will ruin any piece of writing. If I were a reader of my blog, I would think that the person who wrote it was so lazy and inconsiderate to his readers that he didn’t even take the time to run a simple spell check and read through his posts before publishing. If I want to show my readers that I respect them, I need to do a better job with editing my posts. If my blog were a term paper, I would probably get a C- for all these typos. How embarrassing! Have my wife look over my posts. Even though Word has a powerful spell check and grammar check, it still misses things. My wife on the other hand has an eagle eye for spelling and grammar mistakes. I owe a big apology to my readers for not taking the time with such an little, but important thing. You deserve the best and I failed to deliver. I also need to apologize to my wife. She’s been on me for sometime now about doing a better job editing my posts. Out of pride and stubbornness, I ignored her. I don’t like to admit I have a problem with spelling, but the sad fact is I do. I’ve never been that great of a speller. 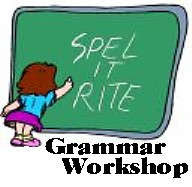 In fact, I had such a problem with spelling in elementary school that I cheated on spelling tests. My third grade teacher finally caught me one day. I don’t think I ever cried so hard in my life (I’ve also never cheated on anything since then). I just need to accept that spelling isn’t my forte and take steps to mitigate errors, even if that means accepting help from others. I’m sorry, Kate. I want to start clean. From now on, I promise to have no more typos in my blog posts. I hope by focusing myself more on editing, I’ll be able to attract more traffic and more imporantly, more subscribers to my blog. I hope other bloggers can learn from my mistake. If you want to have an extremely successful blog, make sure to edit the crap out of them. I want to write well. Really well. Right now, I’m adequate, but adequate isn’t good enough if I want to have the success I want in the legal world. I also want to improve my writing so my content on my blog improves, thus attracting more readers. And you know what? I think I can do it. Submitted for the approval for the Class Action Writing Project, I present my writing attack plan. My first step is to do some reading on writing. I’ve recently checked out Bird by Bird by Anne Lamott. I’ve liked what she has said so far. She doesn’t write about how to avoid split infinitives, rather she writes about the emotional and psychological aspects of writing, like how to a get through writers block and where to get ideas for writing. Another book I’m reading is Legal Writing in Plain English. This is more of a technical book. It has advice on how to use strong verbs, varying sentence length, and being effective and efficient with words. One of the best ways to learn how to write well is to visit with and discuss the writings of those who do it well. I plan on doing this by checking out books from the library and reading legal briefs of the masters of legal writing. For example, I think Justice Scalia is one of the best legal writers this country has produced. I don’t agree with his politics, but I love to read his opinions. He doesn’t use flashy words, his sentences are simple, and yet his writing jumps out at you. It grabs your attention. That’s what I want to be able to do. So, I ‘m reading a book entitled Scalia Dissents. It’s a collection of Justice Scalia’s writings. I plan on reading and dissecting each one of them. I hope to figure out how he writes and perhaps incorporate a bit of his style into mine. I’m also printing of legal briefs of local attorney’s who are recognized for their writing capability. Hopefully, by reading them I can get an idea of what makes a good piece of legal writing. I’m also visiting Law Prose everyday and watching interviews with some of America’s top legal writers. Some of the interviewees include: Justice Scalia, Justice Breyer, and several other federal judges. They offer insights on how one can become a better writer. While doing all the above will give me an idea on how to improve my writing, if I’m ever going to improve, I have to practice everyday. I have a few legal writing books with exercises on sentence structure, word choice, and grammar that I plan on using everyday. I also plan on printing off old case opinions and editing them into plain English. I figure if I can edit and revise a 19th century court opinion into a piece that anyone from the 21st century could understand, without destroying the original meaning, my writing ability should be in good shape. Finally, I plan to improve the quality of my blog posts. Often in the rush to provide content everyday, I sacrifice quality. Instead of posting eight short, crappy, articles a week, I think I might cut down to five a little more longer, quality articles. I think it would be good for me to edit a post like I do a piece of writing I turn into school: print it off and mark the crap out of it. I can’t edit and revise on a computer screen. Thanks Legal Andrew for inviting me to join your class action. Law students and lawyers write. A lot. Thanks to the media’s portrayals of attorneys, many mistakenly believe that the practice of law mainly consists of orally arguing a case before a judge or jury. While trial confrontations makes great television, it isn’t what lawyers spend the majority of their time on. Rather, they spend it on writing. I’m very self conscious about my writing. I don’t think I’m that great at it. I’ve had to work hard to get where I am, but I know I have plenty of room for improvement. One of the reasons I blog is to help with my writing. Part of my “improve my writing” regimen includes listening to daily podcasts by Grammar Girl. Everyday, Grammar Girl provides “quick and dirty tips for better writing.” So far her podcasts have helped me immensely. Each podcasts runs about four minutes. Best of all, they’re free! Start improving those legal memos by incorporating Grammar Girl in your writing regimen today.